S-R-H-H, Ent. - Official Blog: M.O.P. (Lil Fame & Billy Danze) - Street Certified (2014) Out now! M.O.P. (Lil Fame & Billy Danze) - Street Certified (2014) Out now! 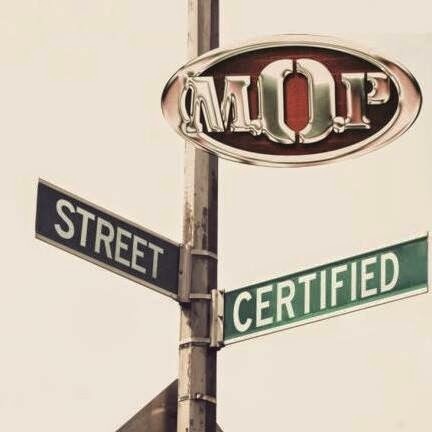 Brand new record from the legendary Brownsville duo M.O.P. (Lil Fame & Billy Danze). The album consists of nine tracks, and features artists like: Busta Rhymes, Maino, Mobb Deep (Havoc & Prodigy), and Probz. Produced by: Beat Butcha, ChuckHeat, DJ Skizz, Fizzy Womack aka Lil Fame of M.O.P., Free Smith, I Fresh, Jazi Moto, and Phatboy. Executive produced by DJ Premier of Gang Starr.